Icy Box external hard drive aluminum case icons. Is there a better alternative to Icy Box Icons? Is Icy Box Icons really the best app in Icons category? Will Icy Box Icons work good on macOS 10.13.4? Icy Box Icons... Desktop icons showing the the silver and black Icy Box external aluminum case with USB interface. They are intended as a replacement for the generic external hard disk icon in Mac OS X Leopard. Mac OS X 10.5 or later for the 512px icon versions. Icy Box Icons needs a review. Be the first to review this app and get the discussion started! Icy Box Icons needs a rating. Be the first to rate this app and get the discussion started! The whole package includes 7 icons either packed in a nice tagged iContainer for use with Candybar or in Mac + Win + Linux compatible formats. 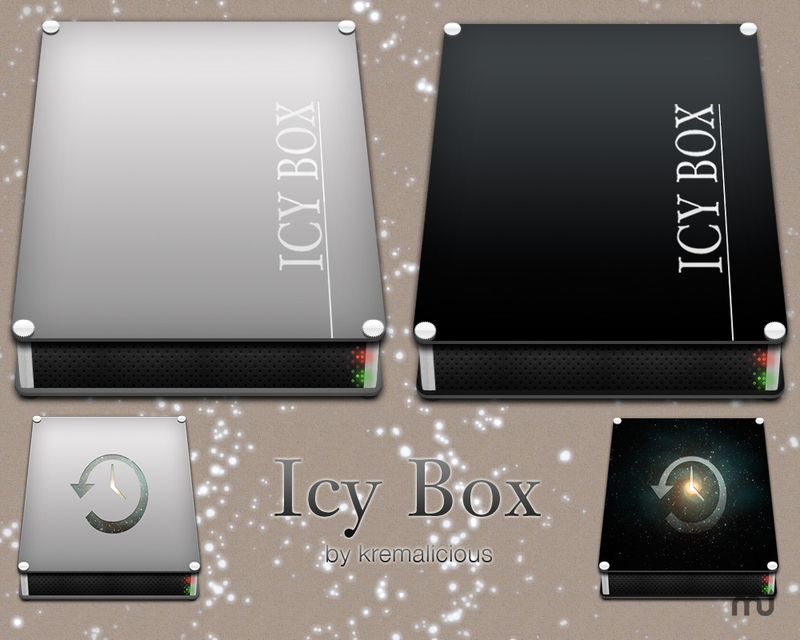 If you have such an Icy Box case grab the icons from my Goodies page and have fun.